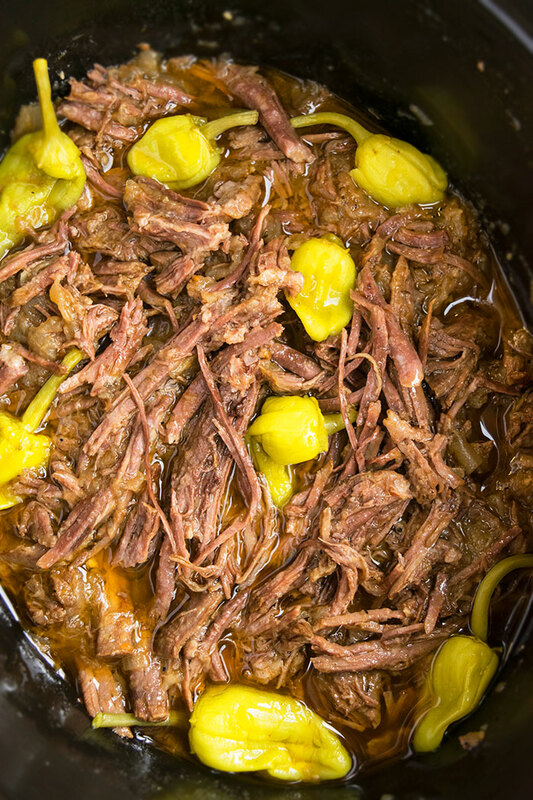 Easy slow cooker Mississippi roast recipe made with 5 simple ingredients. 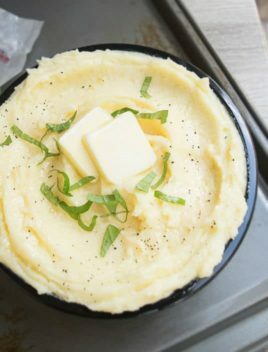 This crockpot Mississippi pot roast is best served over mashed potatoes or can be used as roast sandwiches. This melt in your mouth Mississippi roast is always in my meal plan rotations and we LOVE it! What is Mississippi roast? How to make Mississippi roast? It’s made by placing a chuck roast in a slow cooker and cooking it on low heat with gravy mix, ranch mix, butter and some pepperoncinis. Then, it’s shredded and enjoyed. What is the best cut of meat for a pot roast? Can I make a pot roast with frozen meat? Yes, but you would have to cook it for a little longer. 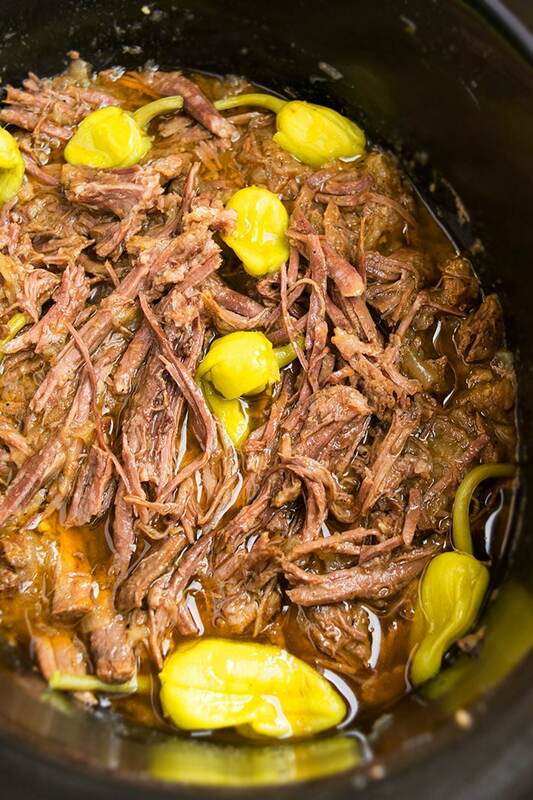 What does Mississippi pot roast taste like? It’s tender, flavorful and just melts in your mouth. Can you cook Mississippi pot roast on high? Yes, you can cook on high for 4-5 hours until roast is tender and can easily be shredded. 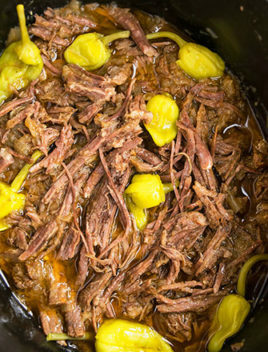 Is Mississippi pot roast spicy? No, it’s not spicy but everyone has different tolerance levels. 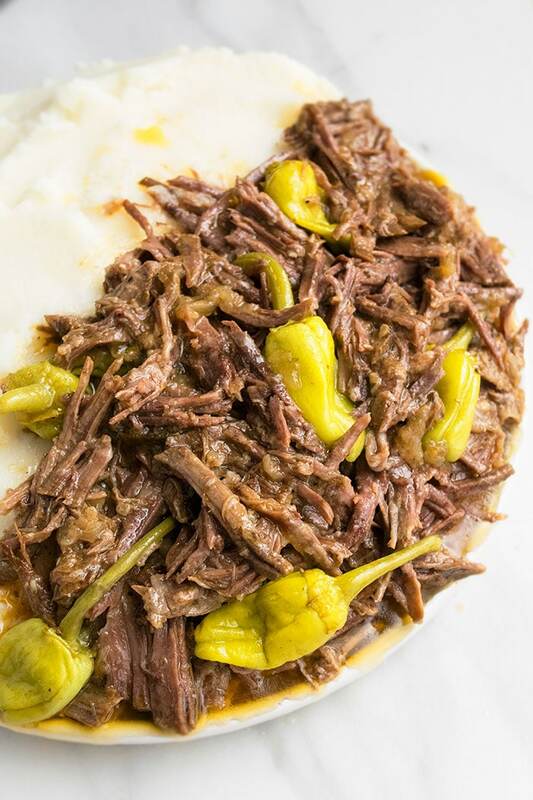 How to serve Mississippi pot roast? -Use UNSALTED butter since the salted one makes this pot roast too salty. -DON’T add additional water or broth because enough liquid will be released from the chuck roast during cooking. -If you like a nice brown top on your roast, SEAR it first: Heat oil in a large non-stick pan over medium hight heat on the stovetop. Sear one side. Then, flip it over and sear the other side. Sear and brown the sides of the roast too. -Make Mississippi pot roast sandwiches with this shredded beef and your favorite toppings like lettuce, cheese, coleslaw e.t.c. Use high quality thick bread so it doesn’t tear easily when eating. -To make Mississippi pot roast with vegetables, add potatoes or carrots halfway through cooking. -You can also make this roast with pork or chicken but it won’t be the original Mississippi roast recipe. Sprinkle the top with the ranch dressing mix and Aus jus dressing mix. Place peppers and the butter on top. Shred with 2 forks and enjoy! I will be sharing a stovetop Mississippi pot roast recipe and Mississippi roast in oven recipe soon. It’s just as easy but quicker. Stay tuned for that. I’ve been meaning to try Mississippi Pot Roast for ages!! Definitely going to soon! This is so similar to a sandwich recipe that I make but I still want to try this because it looks amazing! 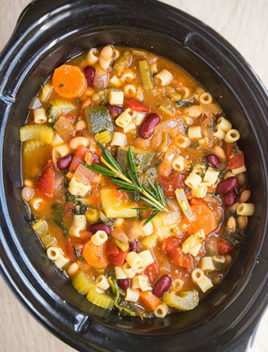 Slow cooker recipes are the best recipes! I can’t wait to try this one! This sounds amazing! I want to dive into my screen! I have to put this on my menu! This looks like a new favorite in my house! Looks delicious! It looks really good! Would love to give it a try! I’m not really a beef person but my kids are. OMG, I loved loved loved this. 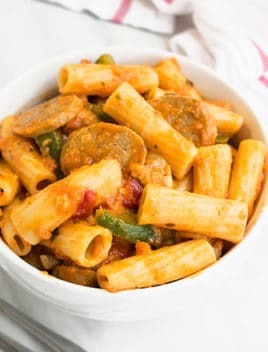 I used mild pepperoncini, for kids, but I will use hot when I make this when they aren’t here! Easiest and only roast I ever liked. That’s awesome! Those peppernoncini make all the difference in the world. Do you use fresh peppers or from a jar? I use the ones from the jar. I consider myself a pot roast conosieur. I don’t think there is a pot roast I won’t eat. This is my new favorite however. I was afraid the ranch would take over, but all it did was add more flavor. We didn’t shred it, we had chunks like you would normally serve it. Next time, we are going to have mashed potatoes to be able to savor that wonderful juice!!! 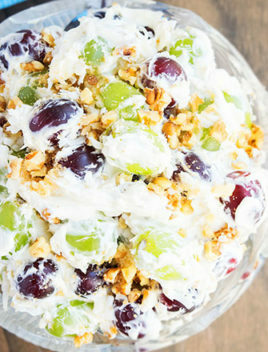 If you have not tried this recipe, you are missing out. It is OMG good! Your feedback put a big old smile on my face! I have a few other pot roast recipes on the blog too but this is my favorite, hands down!!! My new favorite..using the ranch and peppercini gave so much enhanced flavor..I was afraid one would overpower but it was fantastic.. thank you.. This is, by far, the BEST pot roast recipe AND I love your tips as well! Thank you for explaining and sharing. 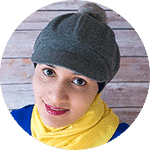 If you have not tried this recipe, it is definitely one to save, try and you’ll make it over and over again! I promise! Thanks! So happy to hear you found those tips helpful. Can I use an eye roast in this recipe?? Yes, I think that should work well too. I made this tonight and my husband and I absolutely loved it. I will definitely make this again! How do you think it would work with brisket? It works fine but I just prefer chuck.